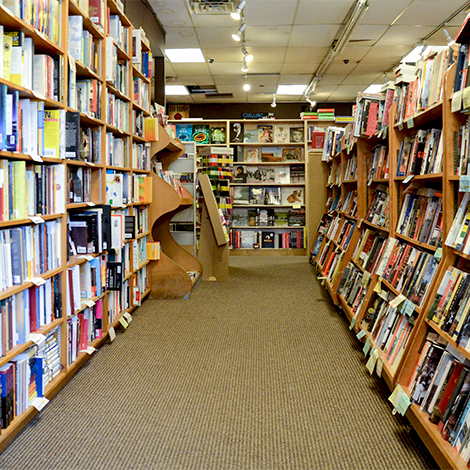 eSalesData’s Bookstore Email List can help all the suppliers, sellers and distributors of books, magazines, newspapers and all related products to get in touch with decision-makers in charge of book stores. Using our comprehensive data sets, you can market your offerings to a broader audience who are interested in buying products and services from your brand. The list we have, gives you access to contact details of the book store manager to assistant manager, inventory control specialist, logistics supervisor, and other executives. Communicating with these professionals will help in pitching your business deal and boost your sales. Whether you want to send an email or make a call, we have information ready to meet a variety of your data needs so that your marketing messages reach potential buyers on time. At eSalesData, we regulate the entire process of data collection and validation through a stringent process. Our team fetches authentic data that you can rely upon for your campaigns from highly reliable outlets including trade shows, seminars, market surveys, business directories, websites, conferences, and more. The verification process continues for repeated sessions at regular intervals. We don’t take any chance when it comes to maintaining the quality of our database. That is why our Bookstore Mailing List is at par excellence, following the footprints of our other email and mailing lists. Every record is updated and validated so that customers using our data gets maximum deliverability of their campaigns and generates quality leads that convert into revenue. We have been in the market for long, and so we understand the role data plays in strengthening a brand’s presence. The right communication can help businesses expand, and for that, they always need an accurate and active list of contacts. Our years of knowledge and experience gets perfectly reflected through our Bookstore Email Database. We have put in all it takes to develop the best marketing list to support your business goals. We have segmented data that lets you tailor your list as per your strategy. The data fields into which we have divided our database includes geography, specialty, job title, company, affiliations, etc. So, while you prepare for your next email marketing or direct mail marketing campaigns, our team works to get the list ready, keeping your instructions and needs in mind. Also, you can give wings to your expansion plans as we have contacts of international customers in our book store list as well. Why Buy Bookstore Email Database from eSalesData?